The workplace is one of the places that many employees and customers are facing during the day. These commutes cause different contamination. 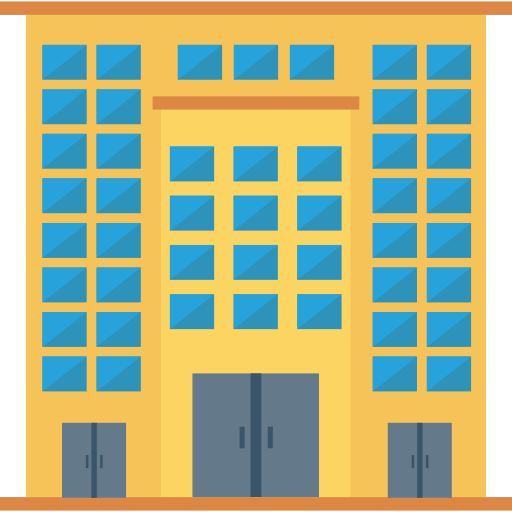 Workplaces in large cities are also subject to contamination. In order to prevent the risks of contamination, the surfaces of the workplace must be constantly cleaned. It is better to use quality cleaning equipment because of the ever-increasing need for cleaning in the workplace. 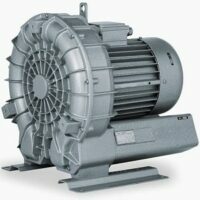 But in order to do better cleaning the workplace, you can use a general process for optimization and ease of use. 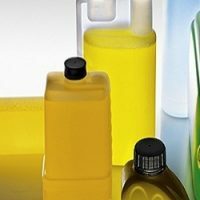 In the following, all parts of a workplace cleaning instruction that optimizes the cleaning process with industrial quality equipment are explained below. 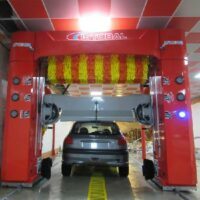 Regarding the need to clean each section of the work individually, each paragraph is mentioned as cleaning the work part of the workplace as a cleaning job. 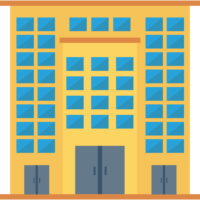 Chapel Grooming: The most important places that are exposed to pollution is the corporate chapel and the workplace. In order to clean the chapel, you can use an industrial vacuum cleaner to sweep the smooth and rugged surfaces of the chapel. In large places where their chapel is very large, the Swiss Superior Surfboard can be used to clean and clean surfaces. Cleaning the corridor: Cleaning the corridor in offices can be done using hand tools such as cleaning trolleys. The use of quality trawls will bring ease of use, but to optimize the cleaning process and reduce the time and disturb the cleaning and washing, it is better to use industrial cleaning equipment. The use of scrubbers to clean the corridor in offices and workplaces is very practical. 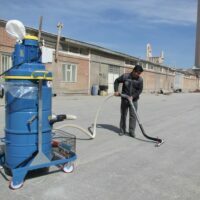 For narrow corridors, manual scrubbers can be used, but in order to improve the cleaning of flooring in corridors, a man-made scrubber can be used. 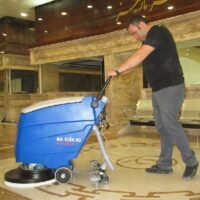 Washing and cleaning the lobby and rooms: In order to clean the rooms, commercial and industrial vacuum cleaners (depending on the level of cleaning) should be used. The room cleaning can also be used to clean the table and the glass from other industrial cleaning equipment. A specialist can be used to wash glasses. 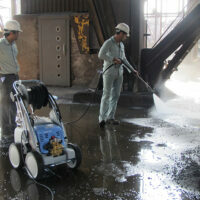 Another machine that is suitable for window and table glass cleaning is the industrial steam cleaning machine. Manual cleaning of glass and polished surfaces can also be done using glass cleaning equipment, which is a specialist glass and cleaning kit. Staircase cleaning: Stairs can be used as the most practical and most specialized cleaning tool for stairs. 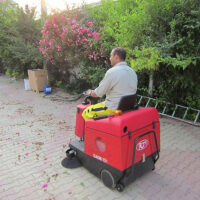 The scrubber engine, or the multifunction scrubber, is one of the tools that can be used to wash stairs in its simplest way. Trolley and Steam equipment can also be used for washing and disinfection of fences in the stairs. Cleaning the lifts: The most suitable machine for washing and cleaning inside and outside of the industrial elevator. The steam spraying system in the industrial steam boiler system eliminates the contamination and contamination effects. Also, using a suction system, it can prevent mirrors and other polished surfaces inside the lift. In addition to the industrial cleaning industry, cleaning equipment can also be used to eliminate the pollution in the elevator. An industrial vacuum cleaner can also be used to collect waste inside the lift.